Last Beach Yoga session of 2017…don’t miss it! Yoga with views to remember forever! These sessions are always MAGICAL! Join us in celebrating a great summer of beach yoga with the final Silent Disco Yoga on the beach for 2017! Practice Vinyasa yoga to Balearic beats with sand in your toes and the sunshine on your face. Mmmm yes please! If you missed the last one be sure to clear your diary and get involved…these sessions are just amazing! 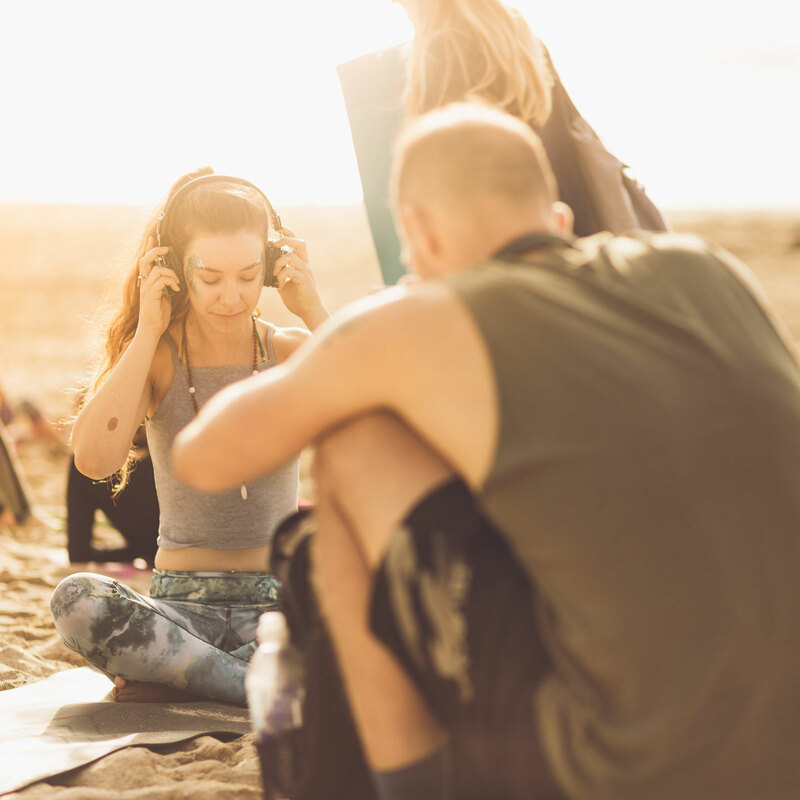 If you are wondering what these events are like, think 100-200 yogis of all ages and abilities coming together to practice yoga whilst listening to the sound of euphoric beats and guided by our teacher through the headphones. Now don’t worry you don’t need to be an expert to come along, we regularly have people who have never done yoga before come to these events and love it! Ticket prices for the beach events are £12. Children under ten can come for £6 when accompanied by an adult. The class will be held at the north end of Fistral Beach where there is a large car park with plenty of parking. Alternatively you can park at the South end of the beach where there is plenty of free parking and enjoy a lovely beach stroll before class. The specialised headphones are included in the ticket price and if you need a mat, you can rent one from us for £2.